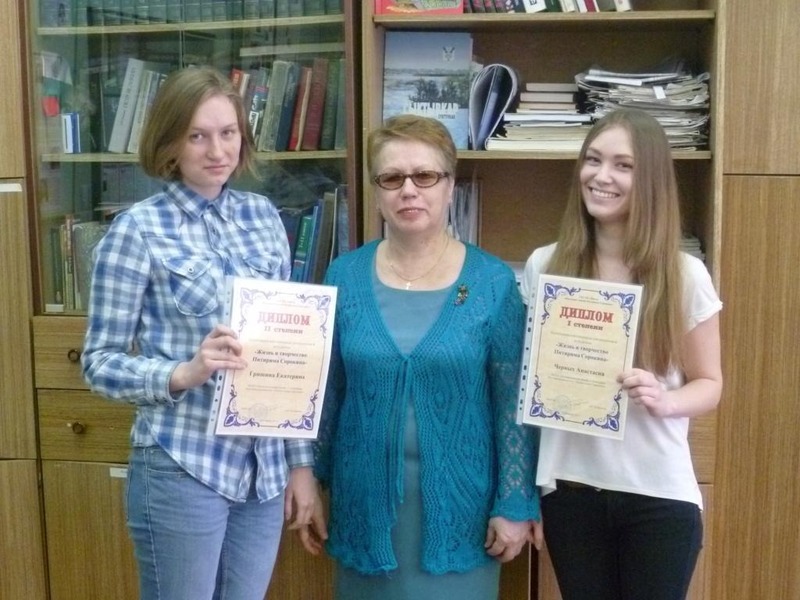 On March 28, 2013 in the Syktyvkar State University the Olympiad for students and schoolchildren on the topic: “The life and creative work of P.A. Sorokin” was held. On March 28, 2013, the Republican Olympiad “The life and creative work of P.A. Sorokin” will be held in the Syktyvkar State University for pupils of 9-11 grades of educational institutions and for students of 1-2 courses. On November 29, 2012, a regular meeting of the Expert Council of the Center and the Organizing Committee of the II All-Russian Scientific Conference “Pitirim Sorokin and the Modern World” was held in the Center “Nasledie” after Pitirim Sorokin. On April 25, 2012, the presentation of the book “Vym Land – the homeland of Pitirim Sorokin”, prepared and published by the Center “Nasledie” after Pitirim Sorokin was held in the Central Library of Emva. On April 25, 2012, in Emva, the presentation of the book “Vym Land – the homeland of Pitirim Sorokin” will take place. In the framework of the All-Russian Scientific Conference “Pitirim Sorokin and the Modern World” an application section was organized. On March 27-28, 2012, the All-Russian Scientific Conference “Pitirim Sorokin and the Modern World” was held in Syktyvkar. The heritage of the sociologist and the influence of his ideas on sociocultural life were discussed by scientists from the Komi Republic, Moscow, St. Petersburg and Arkhangelsk. The Center “Nasledie” after Pitirim Sorokin invites students and schoolchildren to participate in the All-Russian Scientific Conference “Pitirim Sorokin and the Modern World”. On February 7, 2012, the Center “Nasledie” after Pititirm Sorokin holds the Round Table on the topic: “Pitirim Sorokin and the Modern World”. On January 23-24, 2012, the annual Republican Scientific and Practical Conference “Young Researchers to the Komi Republic” was held on the basis of the Syktyvkar State University. The Center “Nasledie” after Pitirim Sorokin with the support of the Government of the Komi Republic holds the scientific conference dedicated to the Russian-American sociologist and social thinker, a native of the Komi Land P.A. Sorokin.